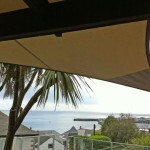 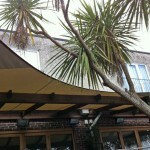 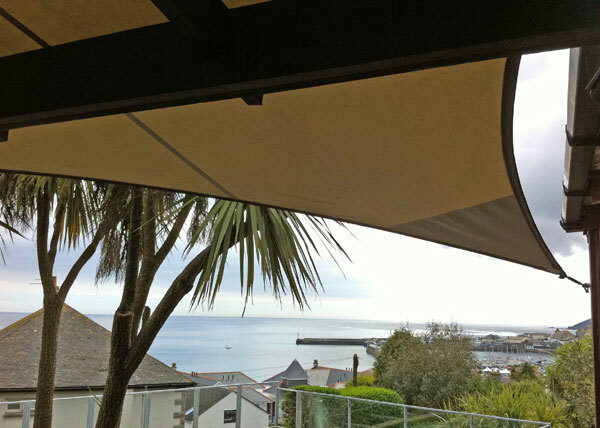 At the beginning of the season we had a return visit to The Bay Hotel in Penzance, Cornwall. 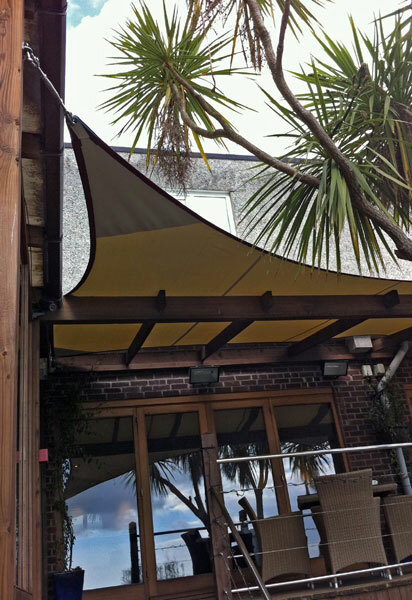 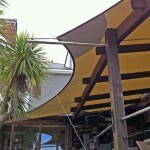 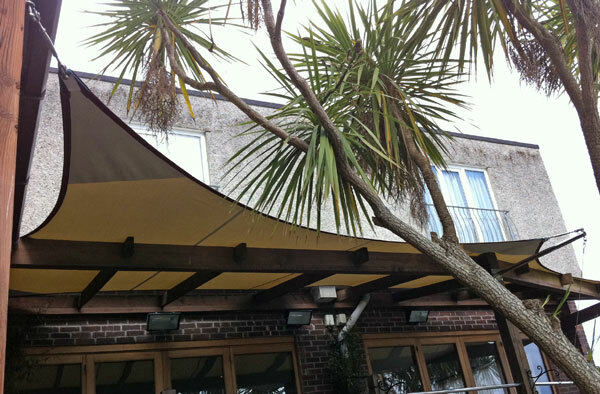 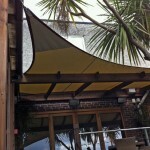 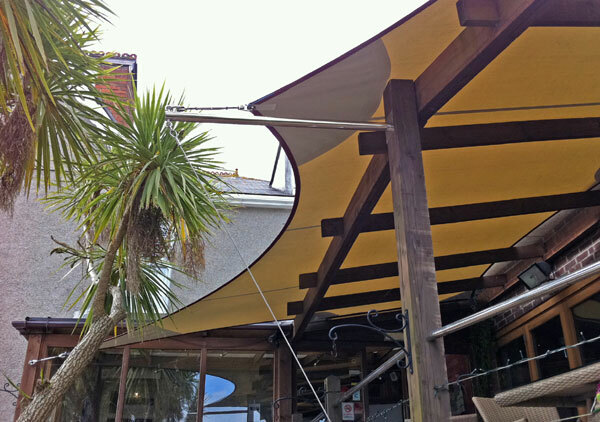 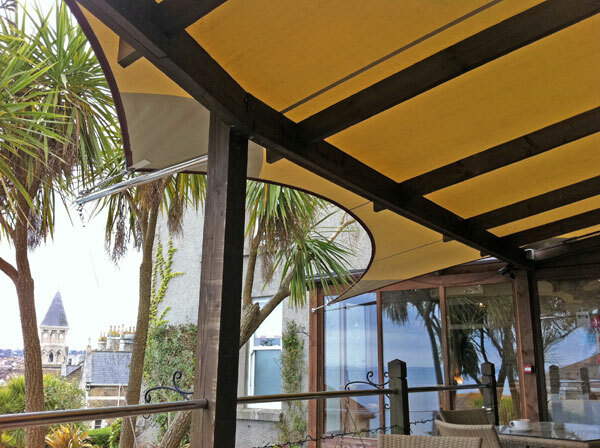 4 years ago we made a sail canopy for the outside area at the hotel and it was due for an update and replacement this year to bring the sail up to date with the The Bays’ new colours. 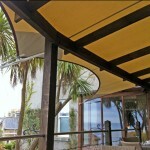 We used a Cream fabric with burgundy edging. 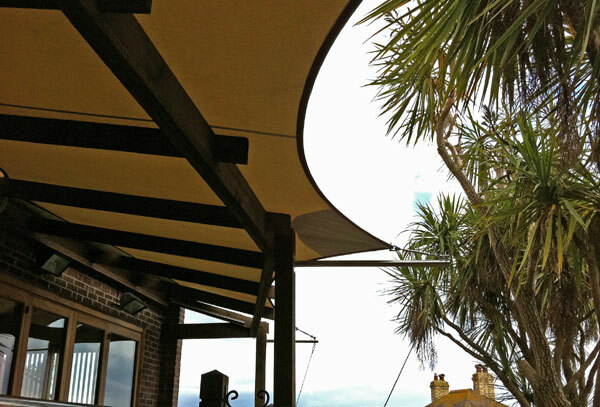 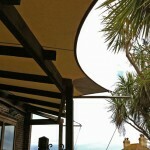 We also increased the size of the sail with stainless steel posts!